Kelp on Kape | Long Live the Eastham Cuisine! Long Live the Eastham Cuisine! I think we’re all agreed that 2008 was basically a crap year. This week, let’s focus on loss, betrayal, and disappointment, and, in so doing, see if we can nudge ’09 toward being even worse. Of course, attitude is everything. You can look at 2008 as the year Obama was elected president, or you can look at it as the eighth year in a row George Bush was president. In 2008, I lost time, money, self-respect; hair, my temper, mind, nerve, cool, and will to live; and a couple of restaurants I used to really like eating at, but the greatest of these is restaurants I used to really like eating at. I hear the Seadog in Eastham may re-open in the spring, and I hope it’s true, as the Seadog is the closest thing we’ve had to a diner in Eastham in years, always nice people (thank you Gary and Tracy! ), happy to go out of their way to please (I once made them put Bearnaise sauce on a hamburger; my wife, the always fashionable and lithe Mrs. K., could never get over that they offer salads served on top of a bed of french fries; and there was also the time Gary gave me a remote-controlled helicopter for no reason.) Good folks, regular old comfort food, free remote-controlled helicopters – I hope they re-open, but I’m worried. Back in the fall, D’Arturo’s closed. They gave it a good go, too, with an actual in-house p.a. system and a stage for the bands (pretty rare on cape these days), plus, they could make a respectable burger. Unfortunately, discerning drunks who drive tend to avoid that Rt. 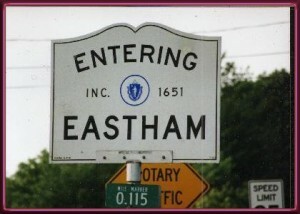 6 stretch in Eastham, which might not be a problem except it’s pretty much the only stretch we have in Eastham. I’ve often said that we should try harder to appeal to drunk people, not only because they’re dangerous, undiscerning, and entertaining, but also because they lose things and have trouble counting. To me, it’s a dream demographic, but I can’t seem to get the powers that be on the same page. Or what about the Coast in Orleans, also closed! Terrible idea! Again, good bunch of folks, occasionally great food (on the right night, the deep-fried turkey dinner could be insanely wonderful; on a bad night, you might find yourself questioning their storage methods, but hey, I like to take a chance, nothing ventured, nothing gained.) Plus, they occasionally had some good music and it was a comfortable, nice sounding room and I really tried to talk ’em up but nobody listened and now they’re gone and I’m upset, dammit. Where am I supposed to eat? This place has just been going to hell in a hand basket, ever since Lo Cicero’s closed a few years ago -now there was a place! Now, we’ve got no diversity -we don’t even have Friendly’s to kick around any more. The one good thing that happened in 2008 was when some unidentified maniac went to a great deal of trouble to drop a piano off in the middle of the woods in Harwich, implicitly for hiking musicians and various other rusticators and assorted riffraff to use however they saw fit. This completely charming idea was immediately ruined, of course, by the local constabulary, who hauled the piano into the basement of the police station -hard to believe too many folks are going to be jamming away down there. I say, put the piano back. Perhaps the soothing music can take our minds off the fact that there’s no place to eat. This entry was tagged Coast, D'Arturo's, Eastham, harwich piano, Lo Cicero's, Mrs Kelp, politics, Seadog, Year End Wrapup. Bookmark the permalink.